The Basic Sheets Queen Basic Sheet Set by Bedgear at Miskelly Furniture in the Jackson, Pearl, Madison, Ridgeland, Flowood Mississippi area. Product availability may vary. Contact us for the most current availability on this product. Add soft bedding to your home with Bedgear Basic Sheet Sets. Wrinkle and stain resistant material in these sheets will keep your bed looking crisp and fresh. 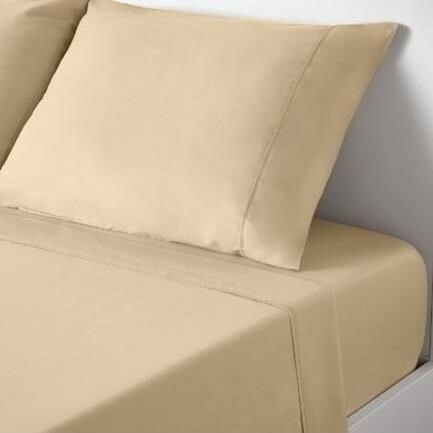 Perfect for year round use, these sheets are 100% hypoallergenic. Designed with your comfort in mind, sleep the night away with these soft products in your home. The Basic Sheets collection is a great option if you are looking for Bedding in the Jackson, Pearl, Madison, Ridgeland, Flowood Mississippi area.